LOUISVILLE — Humorist, professional singer and Amazon bestselling author are only a few of the titles that Jane Herlong has held. 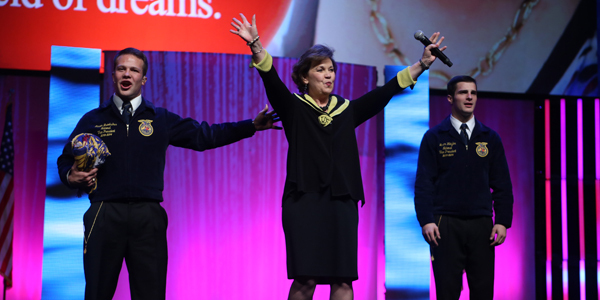 The South Carolina native and former Miss America contestant motivated thousands of FFA members when she filled Freedom Hall with laughter at the 87th National FFA Convention & Expo on Friday. 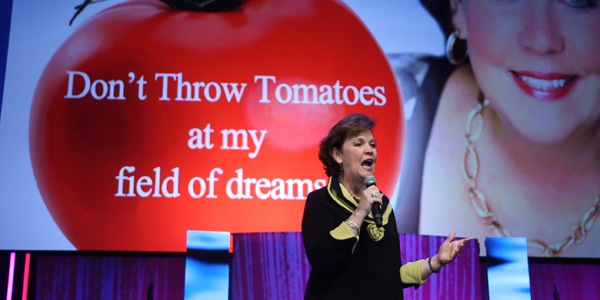 Her speech, titled “Don’t Throw Tomatoes at My Field of Dreams”, had the audience on their feet in applause and in the back of their seats with laughter as Herlong told students the importance of personal accountability and life-balance. Herlong told FFA members not to let the words of others get them down. In the first grade, Herlong remembered being laughed at because of her appearance, but a visit with the area beauty queens quickly made her set lofty goals for herself. And she did. Starting with local pageants, Herlong made her way to the top, so far as being named Miss South Carolina and representing the state in the Miss America pageant. She reminded FFA members that in order to get where you want to go, you have to find a place to start. A major point that Herlong made was the value of authenticity. She recalls the shadowing image of the pageant circuit. The key, says Herlong, comes from being your best self. Herlong finished by rounding back to the title of her speech. 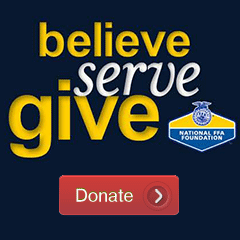 As a gift of gratitude for her time with FFA, a digital copy of Jane Herlong’s first book, Bare Feet to High Heels, is available for FFA members free of charge at janeherlong.com/ffa. Herlong is impressed with what the success the FFA prepares its members for. What an amazing honor!!! Thank you so much for the lovely article!